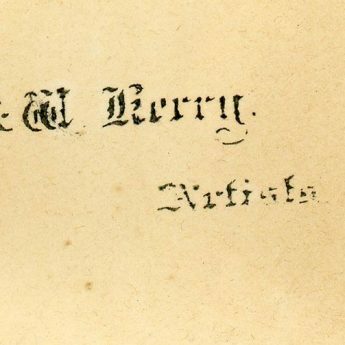 Little is known about the artists R. and W. Kerry which is surprising as they advertised regularly in the provincial press during the 1840s and 1850s. 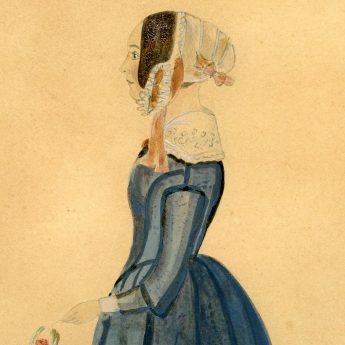 They were itinerant artists working mostly in the Midlands and, during a three-month stay in Leamington Spa in 1845, they claimed to have painted 800 likenesses whilst later that same year in Wolverhampton they completed over 1,300 likenesses. R. and W. Kerry specialised primarily in full-length profiles in colour, for which they charged half a crown. The addition of a background raised the price to five shillings. 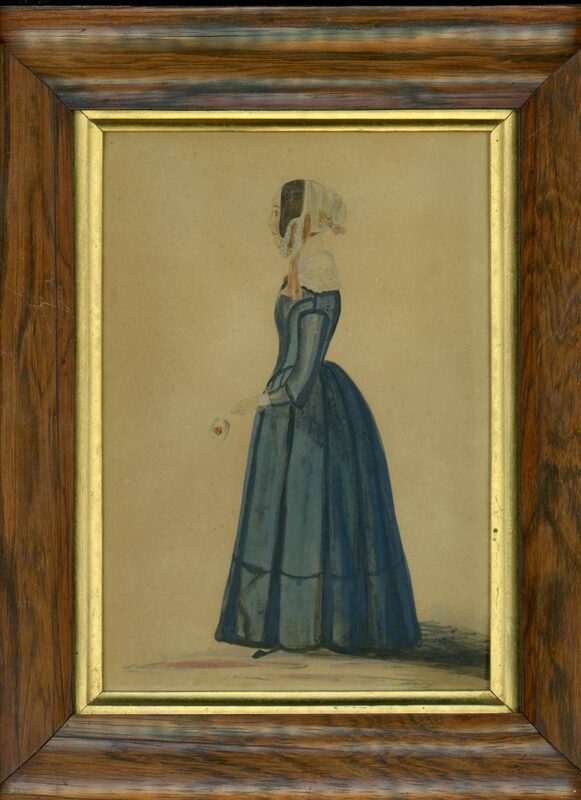 For those willing to spend a little more, a full-length face front portrait could be commissioned for ten shillings whilst a miniature portrait on ivory would cost between one and five pounds. By 1852, like many silhouette artists, they had packed away their brushes and had embraced the new craze for photography having opened a studio in Leamington Spa. This portrait is therefore a typical example of their work and was probably taken at Leamington Spa in the spring of 1845. 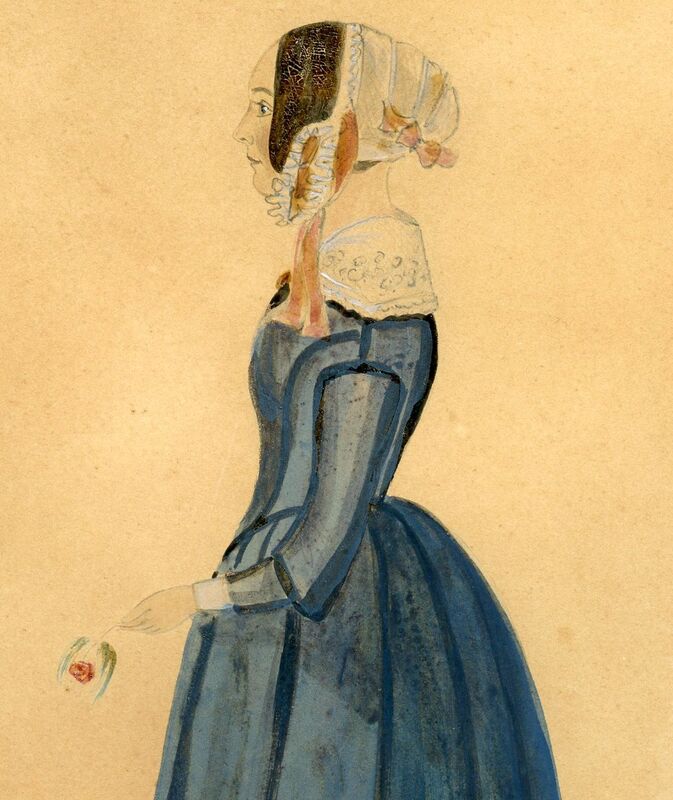 The young lady is shown holding a rose and is named on the reverse as Anne Wellington (née Archer, 1822-1883). 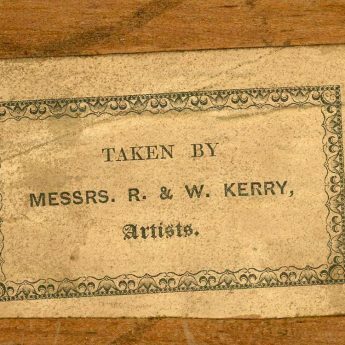 Painted on card in watercolour with a hint of gum arabic, the reverse side has the artists’ stencil stamp. 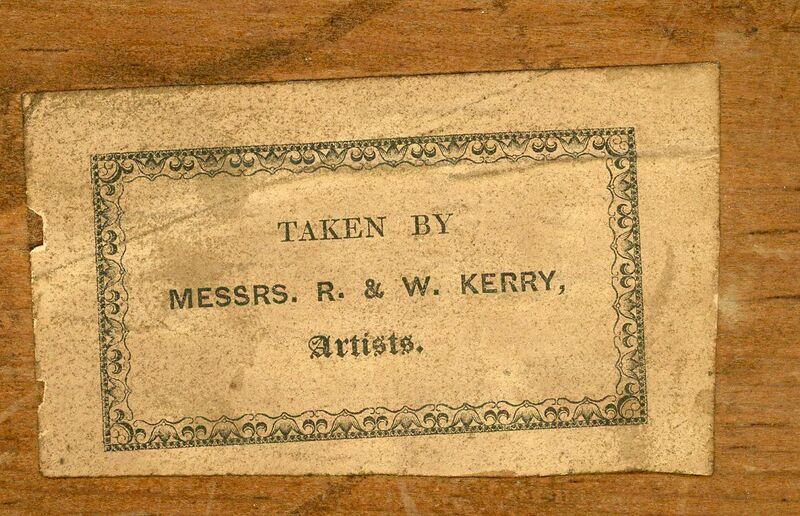 It is set in the original rosewood frame with a gilt slip and has the artists’ trade label on the backing board.